The numerous participants from Europe, Asia and America will take part at the 3rd International Symposium of Common Languages of the Turkic World ˗ Patterns on the topic Intersections in Felt, to be held in Baku on October 25-27. Christine Martens (New York), an artist and independent researcher documenting and writing about textile traditions of Central Asia in relationship to women’s rituals and ceremonies, is among the participants. 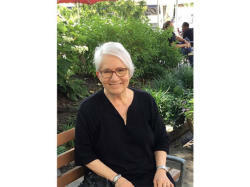 She has conducted fieldwork in Kyrgyzstan, Uzbekistan, Tajikistan, Turkmenistan, Kazakhstan and Mongolia as a Fulbright Scholar, IREX fellow and Asian Cultural Council grantee. Martens will make a presentation on the topic Distinguishing Uyghur Felt Making in Xinjiang: Pattern, Process and Ritual. 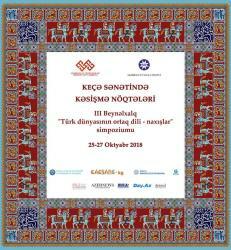 The symposium is co-organized by the Azerbaijan Ministry of Culture and the National Carpet Museum. The event aims at the exchange of ideas on the common heritage of the Turkic peoples ‒ felt, as well as research and preservation of this craft’s traditions and customs, the revival of interest in it, and its application in various fields. Discussions on Felt As a Tradition; Felt in Contemporary Art; and Felt As a Fashion Trend topics will be held during academic sessions. In addition, two thematic exhibitions, workshops, a fair exhibition of felt product and a fashion show will be organized within the symposium.